This is a complete step-by-step walkthrough for the iOS and Android game A Short Tale by Glitch Games. 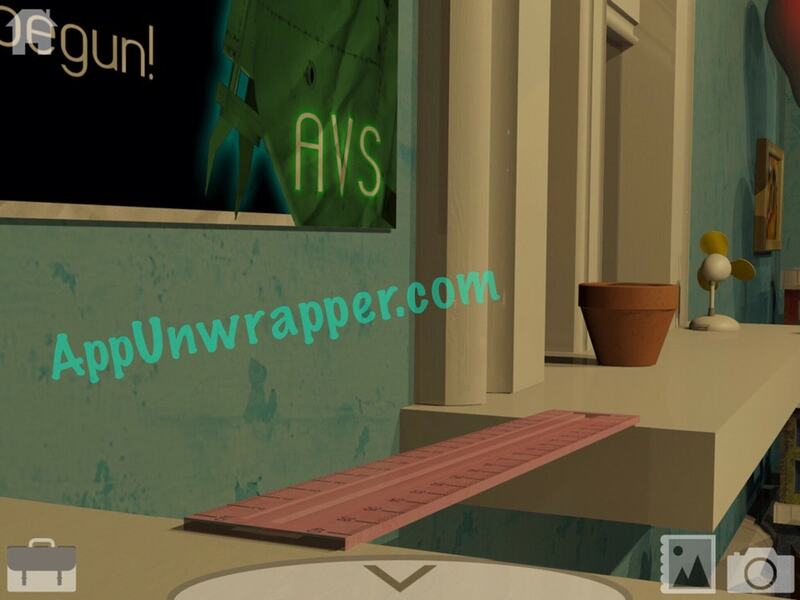 It’s a room escape game by the folks who brought you Forever Lost. 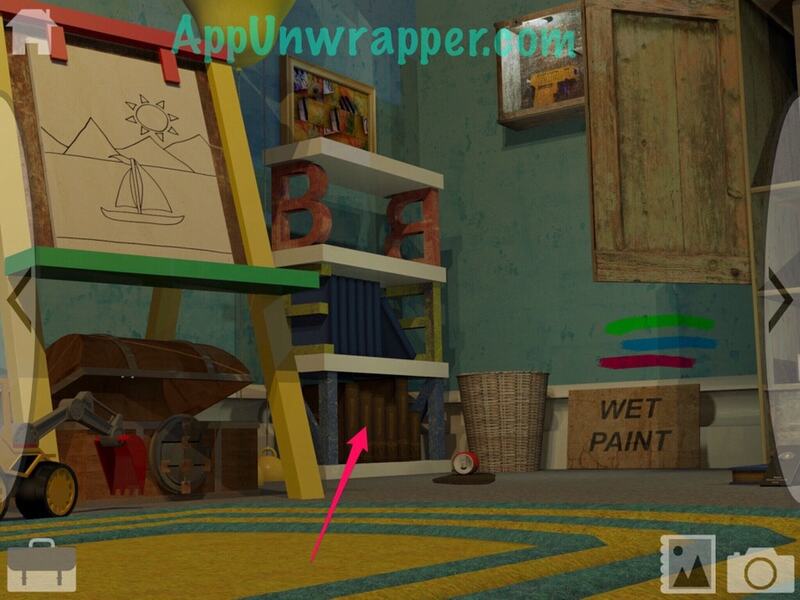 It all takes place in the same room, but every inch is packed with puzzles and clues. Some of them are downright devious, so it’s understandable if you might need help. 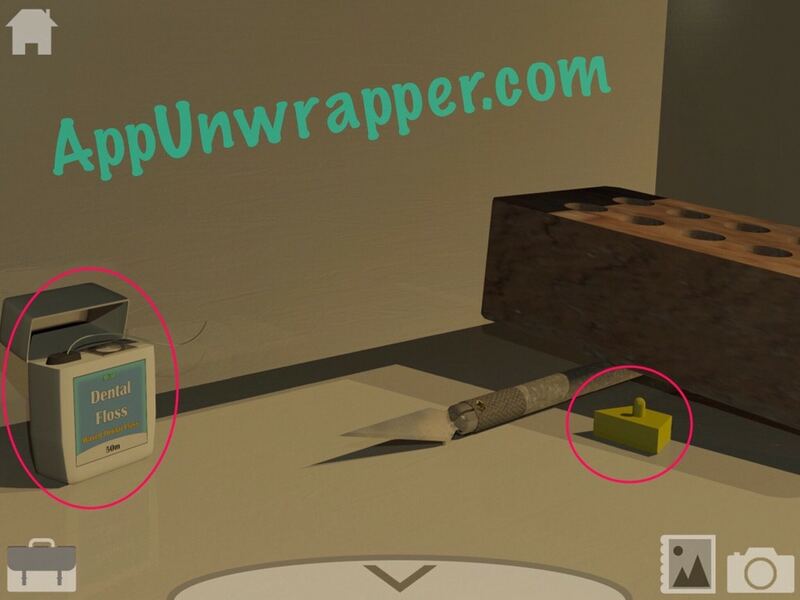 This walkthrough will spoil the puzzles for you, so beware. If you would rather have a small hint, feel free to ask in the comments section. Red, green, blue, orange, red. Yellow, green, blue, yellow, red. Blue, green, blue, orange, red, yellow, yellow. Once you get all three correct, a clue will appear in the center. Take a photo of it using the in-game camera. 3. 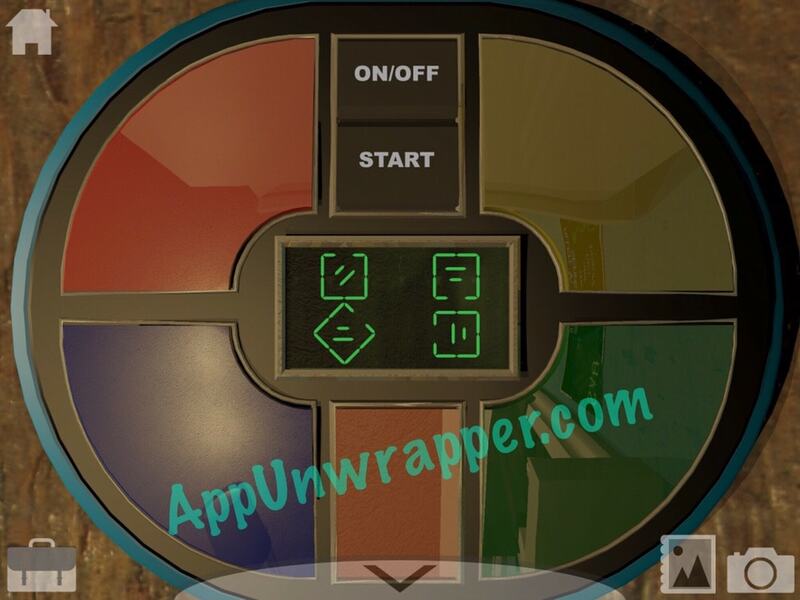 Climb up to the desk drawer and use the clue you got from the Simon game to unlock the desk. Pick up the rhombus piece and the dental floss. 4. Climb on top of the desk. Go right and take a photo of the Allen vs. 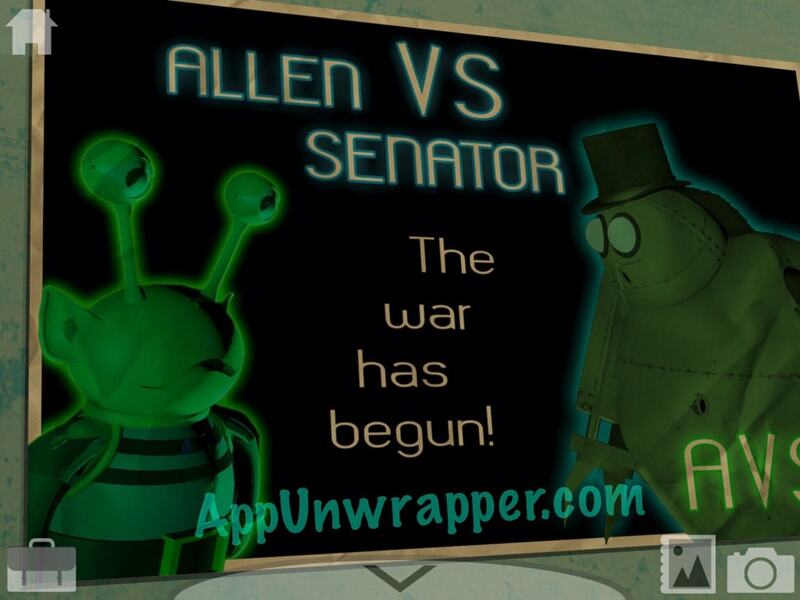 Senator (AVS) poster. 5. Continue on and use the ruler as a bridge to cross over to the pot of soil. 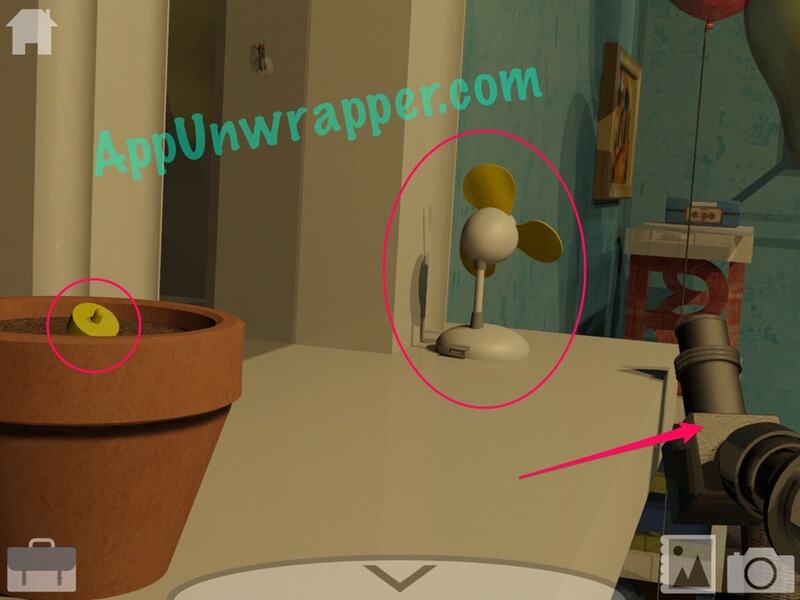 Pick up some dirt, the circle shape and the USB fan. Also, look through the telescope at the poster of the moon phases. 6. 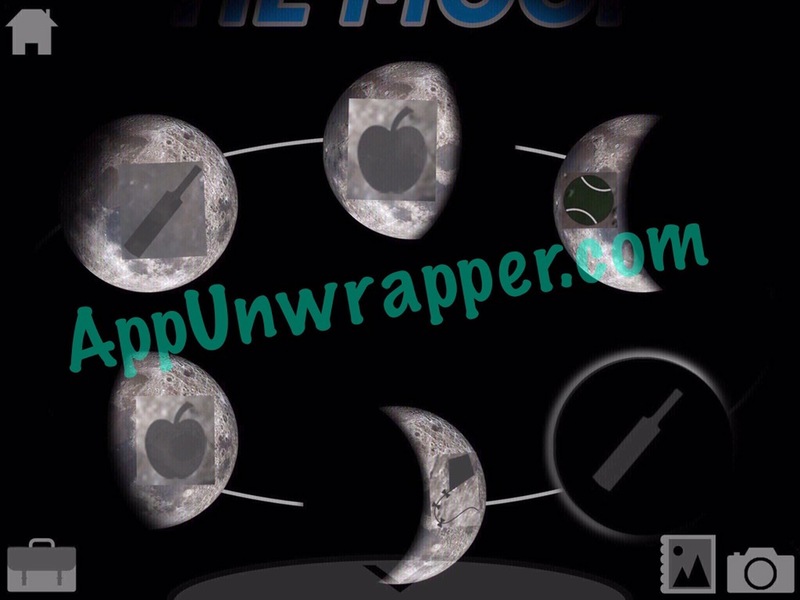 Tap on each moon phase to zoom in and see a symbol on it. There’s a cricket bat, apple, kite, or tennis ball on each one. Take photos of each and make note of which ones are which. I doctored the photo below so you can see them all on one screen. There’s also a fly on the window here, but we can’t catch it yet. 7. Go back down and turn right. Ask the alien to help you and he’ll tell you he will once his three children return to him. 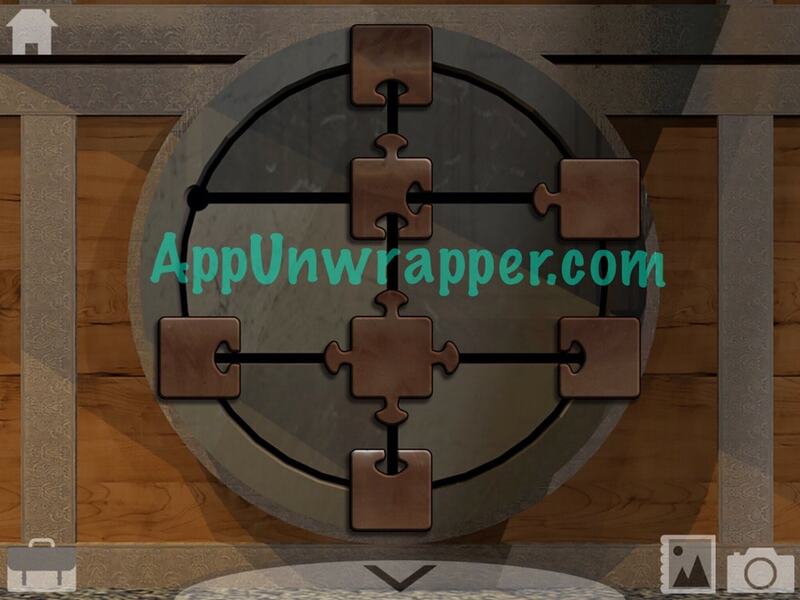 Solve the jigsaw puzzle piece puzzle to open the chest. Take the square piece and a photo of the Roman numerals clue. 8. 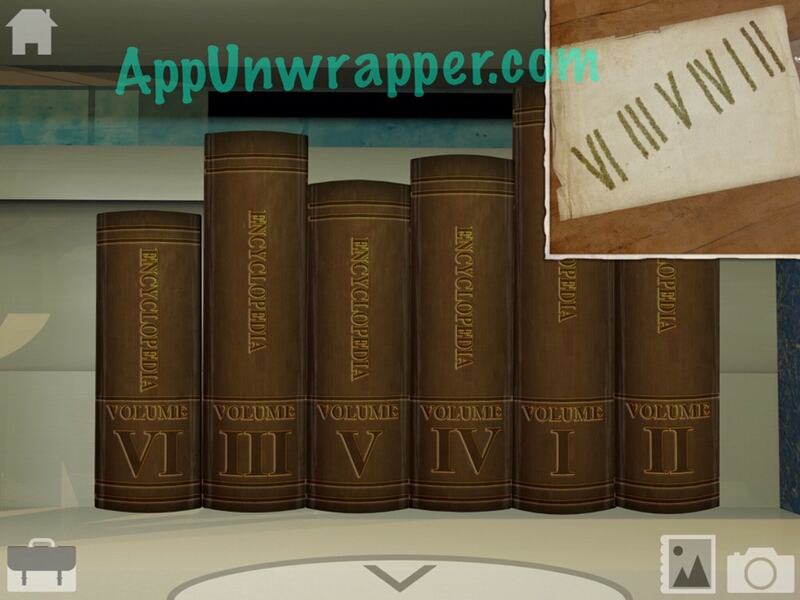 Go right to find the books with Roman numerals on them. Organize them according the the note you found. Then take a photo of the order. 9. 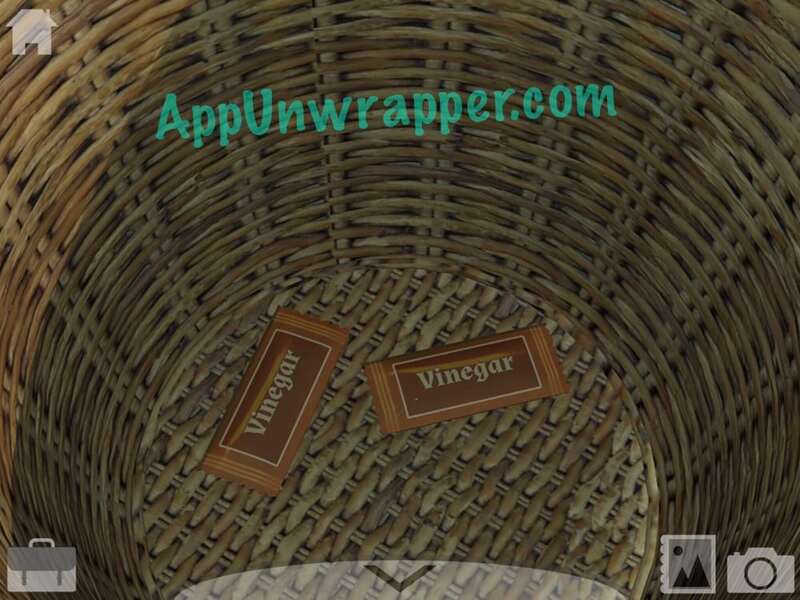 Look in the waste basket to find two packets of vinegar. 10. 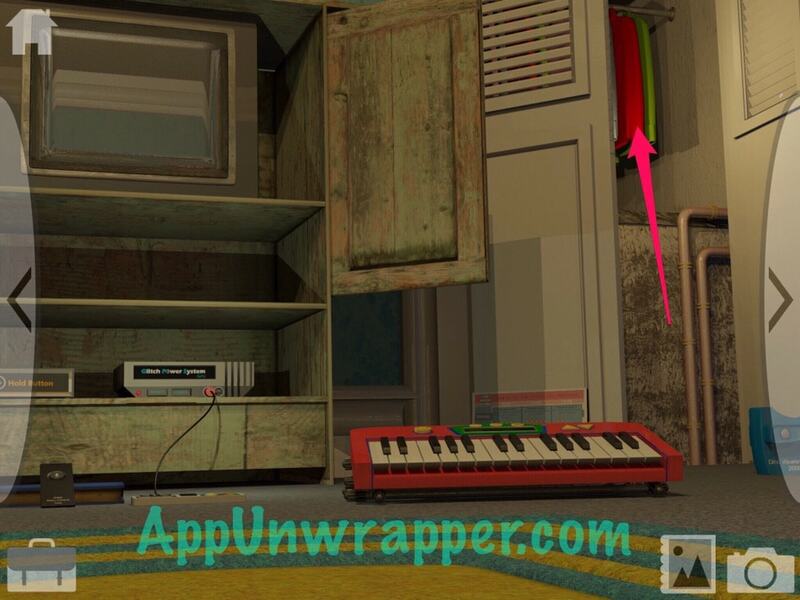 Climb up above the books and solve the swapping tiles puzzle to see a clue for the piano/keyboard. Take a photo of it. 11. Go back down and to the fire truck. 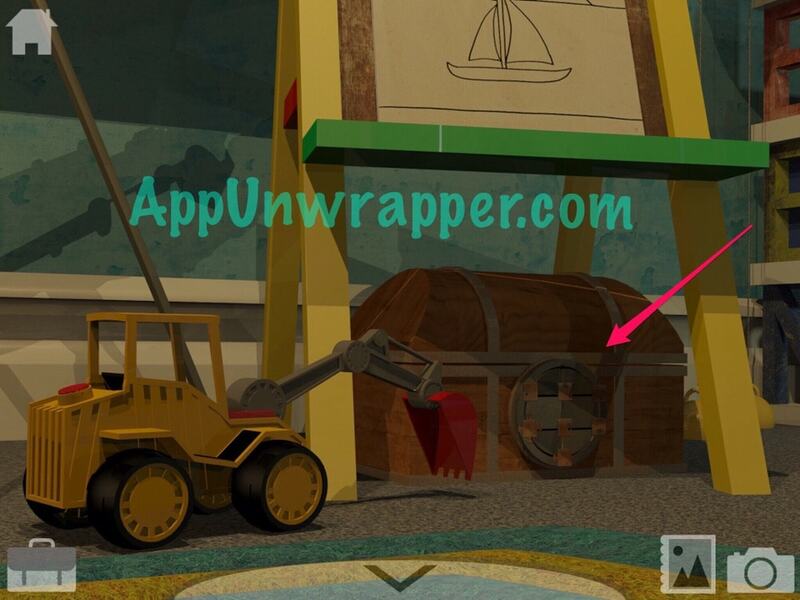 Right behind is is a puzzle with wooden pieces. 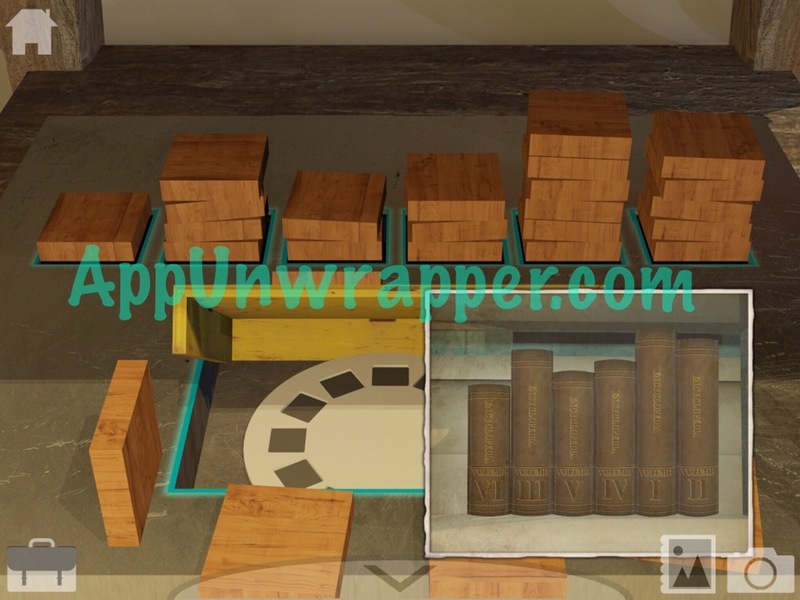 Use the clue from the books to put the right number of wooden pieces in each stack. It goes 1, 4, 2, 3, 6, 5. Take the viewer discs. 12. Turn right until you face the TV. 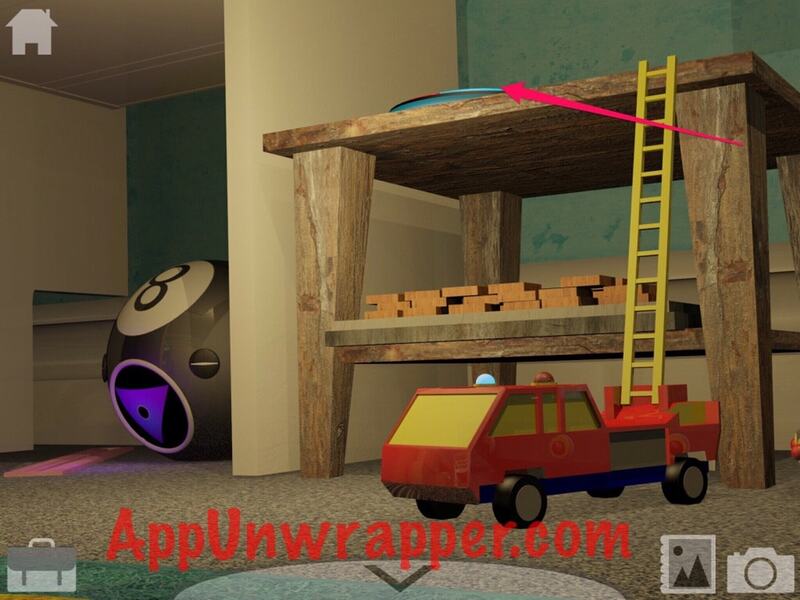 Pick up the house piece next to the game console. Also, press the Power button to turn it on. 13. 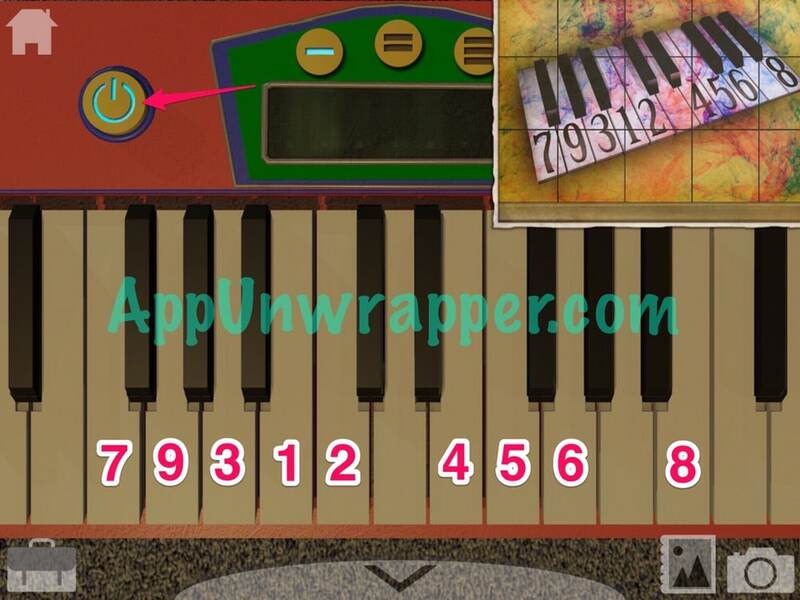 Go to the keyboard and turn it on to the first mode. 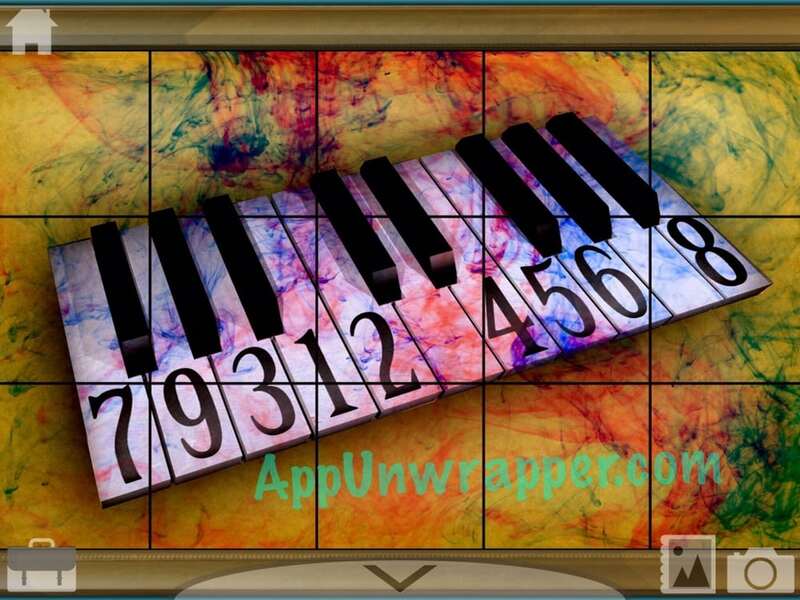 Use the clue from the swapping tiles puzzle to play it in the right sequence. 14. 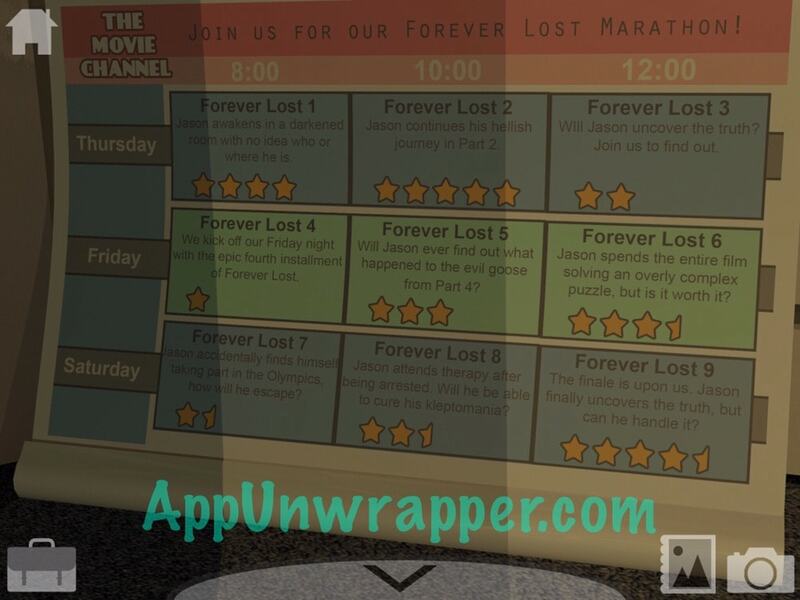 Look behind the keyboard at a schedule for the Forever Lost marathon. Take a photo. 15. Climb up into the closet. Take the pump. Hey. Love the game. Thread disappeared after I picked up. Is this a bug?? 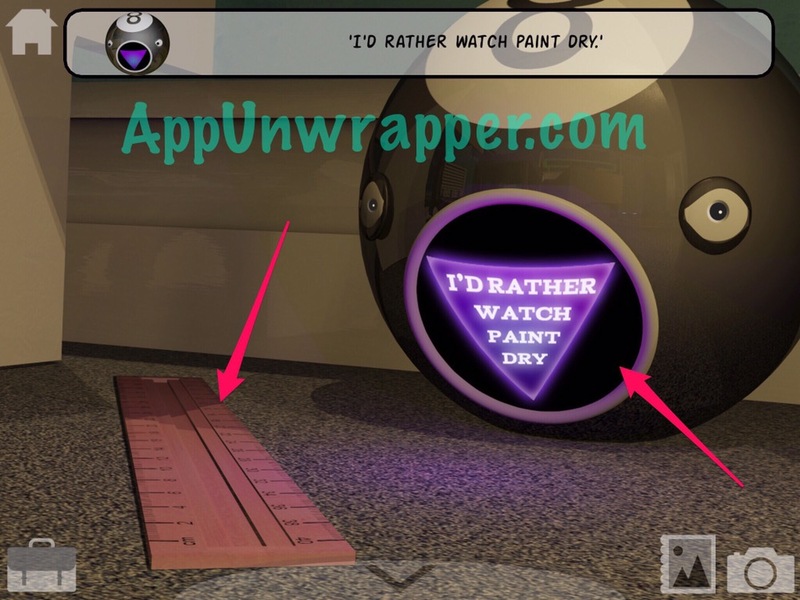 The thread in the game? It shouldn’t disappear before you use it. Sorry about this, very strange. Please go to the Save Game screen in Options and then select your save file and hit the Export button. If you follow the instructions there I can patch your save file. Thanks Graham, but it WAS evil. ???? I’m having the same problem – the thread is gone. I have tried to export the game and it is currently in my clip-holder. Which email can I send it to? Having trouble with the gear puzzle. My trouble not a bug. When you first get to the pencil box, it shows a picture other than the ones you show. What do I do with that? Step 37. There’s something else you need to do with the train. It’s tricky! Hmm I’m not sure what I missed with the train? I put the track pieces down…I talked to him and he is willing to help me. I don’t want to give it away. It’s devious, but fun to figure out on your own. Great game. Had to use the walkthrough, because i couldn’t find the needle. According to it needle is in the pinning wall. But there isn’t. Can you help. I did. But there’s no needle, just the two notes. All items i got left are thread, 2 plastic buttons, small knife and inked brush. Maybe a bug. You might have used it already on the digger button? And except these two I solved the whole thing myself, sort of reasonably hard but doable. 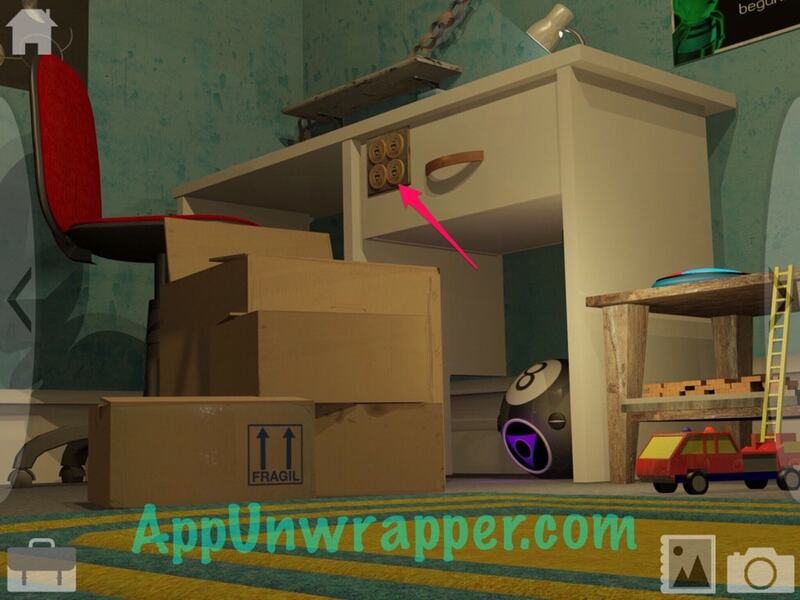 Can anyone give me a hint regarding the lock on the suitcase in the closet? Please don’t spoil any other puzzles! 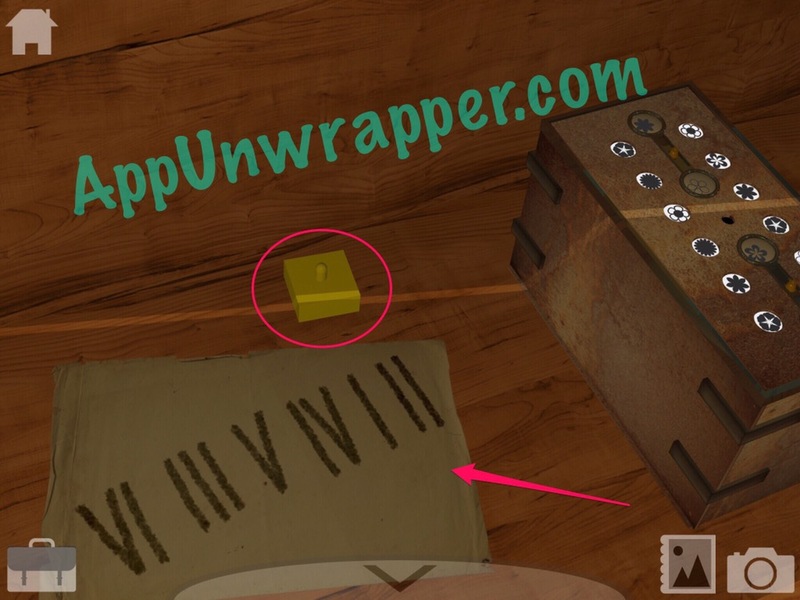 It seems to me that I should’ve been to solve this puzzle early in the game, but for some reason I can not figure out the 5 color-coded lock on the suitcase. 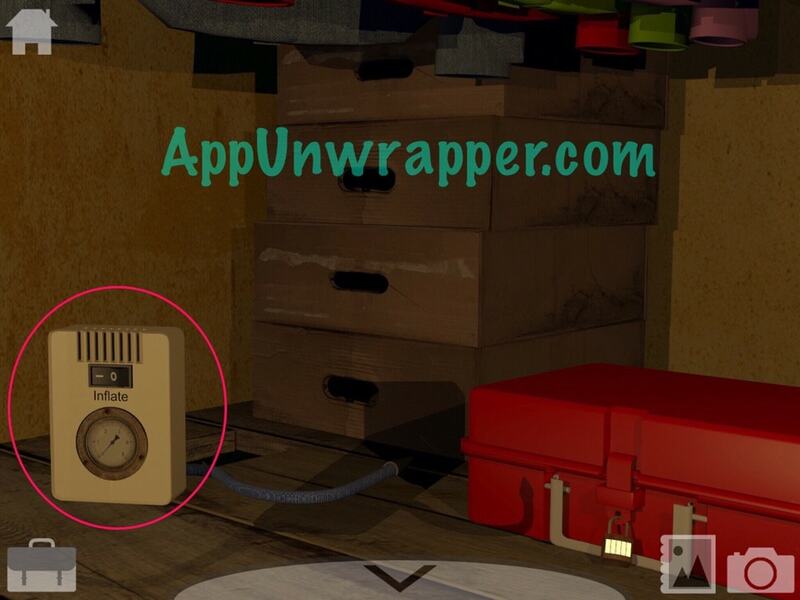 I’ve checked everywhere and everything and I’ve also solved some puzzles that were way more difficult than this one. Any hints, without giving too much information, would be appreciated. I need to pick up the needle from the truck to use it on the teddy bear, but I can’t click on it. When I click on the truck it just gets me up to the easel… Anyone else experiencing this? Yeah. But the zoom in on the button view is gone and doesnt show up anymore once i’ve put the needle in. Wherever i click on the truck it just takes me up the easel. 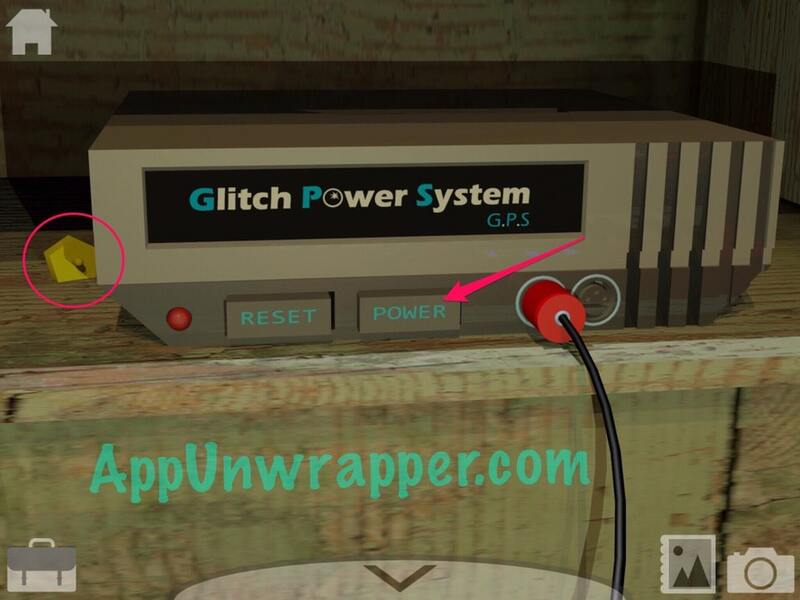 You can try exporting your save file to Glitch Games and they can fix it for you if there’s a bug. I still can’t figure out the “Lost my Train of Thought” part. Why isn’t the solution in the walkthrough? It is. If you want the answer, it’s in step 60. I tried it 3 times at least but the thread disapears before i could use it. I also tried mailing it 2 times to glitch but still no answer. Very frustrating. If I remember correctly, the thread is used automatically to sew on the buttons. You just use the buttons on the bear and they’ll automatically get sewn on. Did you already try that? I recieved mail that a fix for this problem had been submitted to Apple ???? Oh so it sounds like it’s a bug they were able to reproduce and are waiting for the update to get approved. They might still be able to fix your individual save for you, but I’m not 100% sure. I’ll just play this great game again ???????? Sorry, I meant “are you sure that’s *all* you need to do?” There’s more than one clock for that puzzle. 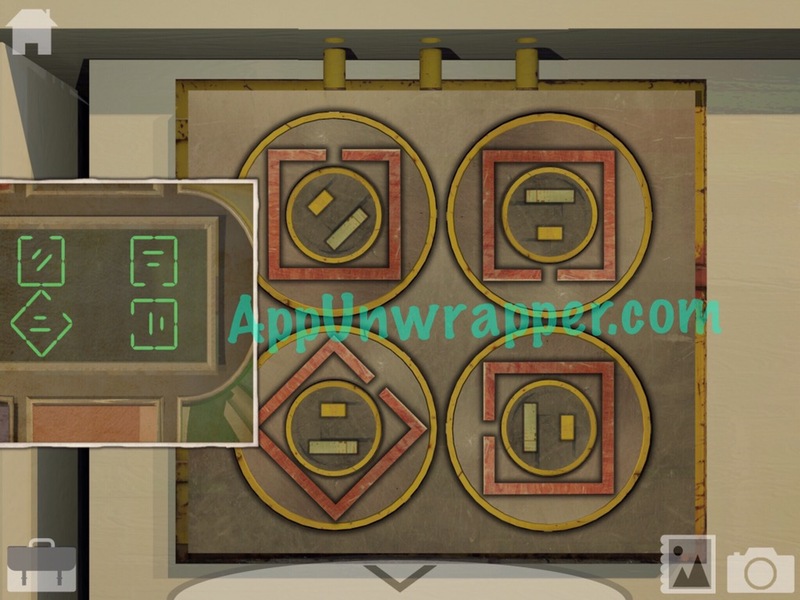 Set all 3 clocks to to 5; nothing. Also tried house clock at 7 as its reversed. Nothing. Finished. Don’t understand. What happened to Ben? Ok to reply privately. Yahoo lost my e mails. Would like to know what happened to Ben! The TV doesn’t turn on when I use the voice command. Is there something I’m missing? It’s not actually supposed to work with you talking into it. You need to find another way. Ok so I did everything.. Got my thread and needle, button on the bear but can’t sew it on. Am I missing a step? Got my sharp pencil point en brush with inked also in my bag (and thread and needle). Nevermind. Needed 2 buttons haha. Thanks for the wt! I used the knife to get a button…. But I only got one, how do I get the other?